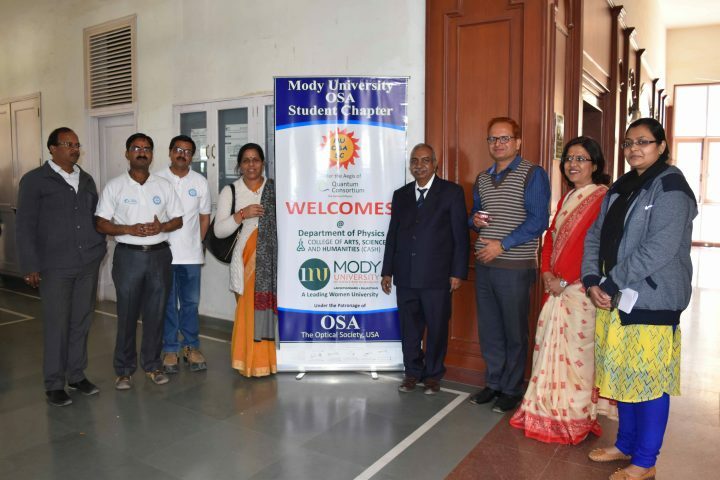 Department of Physics, College of Arts, Science and Humanities (CASH) of Mody University of Science and Technology (MUST) inaugurated the student chapter of OSA (Optical Society of America) and named it “MUOSASC”. The MUOSASC stands for Mody University OSA Student Chapter. The MUOSASC will be part of Quantum Consortium, the society of Physics. 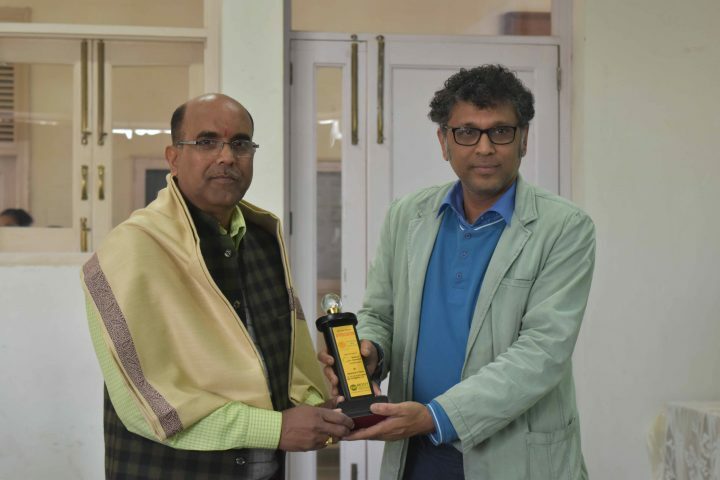 The eminent scientist Dr. C. Dhanavantriand Dr. Anil Kumar from CEERI-Pilani was the chief guest and the guest of honour of the event respectively. Professor Atul Kumar, Dean-CASH gave the welcome speech and Dr. M. Mishra, chapter advisor of MUOSASC briefed the chapter activities. 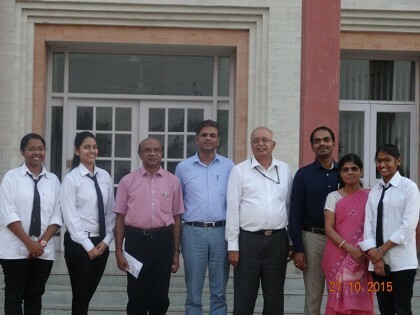 Dr. V.K Jain, Dean, CET and other distinguished faculties of the university also graced the event with their presence. 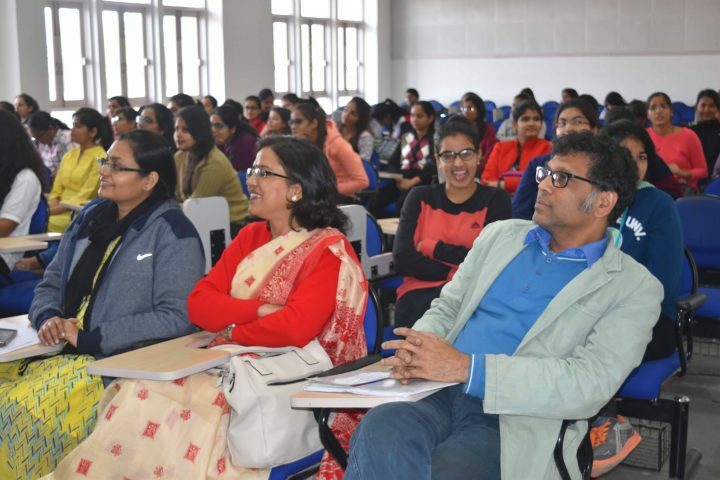 The event was attended by the students of CASH, College of Engineering and Technology (CET) and College of Law and Governance (CLG). 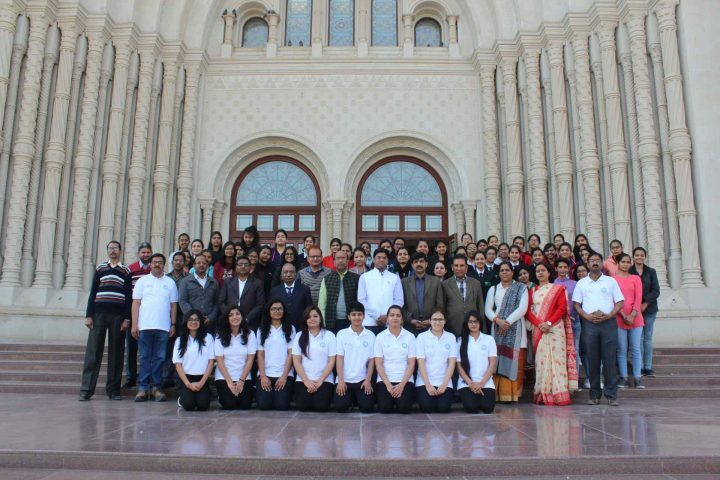 A total of 90 students and 20 faculty members attended the event. The event consists of three lectures- Overview of Solid State Lamp Technology, by Dr. C. Dhanavantri, Scientist Emeritus, CEERI-Pilani, Career Opportunities in Research Laboratories in India by Dr. Anil Kumar, Senior Scientist, CEERI-Pilani and Propagation of Light through Photonic Crystals by Dr. N. Kumar, CASH, MUST. 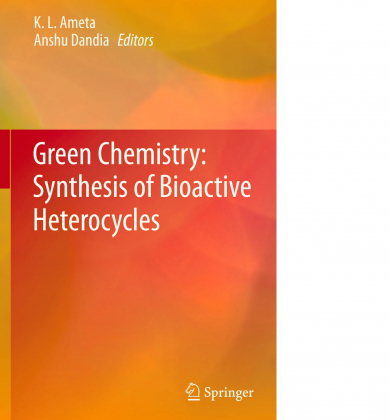 The event was coordinated by Dr. Rakhee Chaudhary, Head, Department of Physics along with Dr. B. Singh, Dr. N. Kumar, Dr. M. Mishra and student volunteers of MSc (Physics) and BSc. 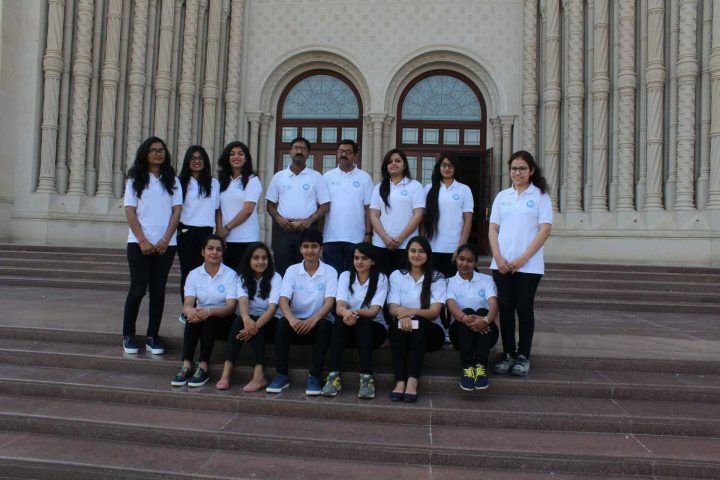 The event was anchored by Ms. Yogeshwari and Ms. Dimple Popli of MSc-final year (Physics). The photography of the event was done by the cultural society of CASH. The vote of thanks was made by Ms. Yogeswari, President of MUOSASC.